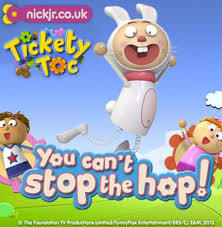 Not too long ago, I finished recording 'Series 2' of Nick Jrs, preschool hit series, 'Tickety Toc', where I played an energetic & enthusiastic rabbit named, 'Hopperoo'. 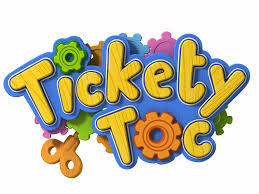 In Tickety Toc, every madcap minute counts! A dramatic & colourful CGI world full of wonderfully odd characters & slapstick surprises.